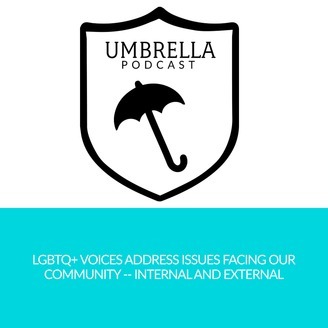 The Umbrella Podcast is devoted to diverse members of the LGBT+ community gathering to talk about a wide range of intersectional, complex issues facing us, internally and externally. Olivia, Kayla, and Glynn talk about mental illness as a member of the LGBTQ+ community. They discuss their experiences finding coping methods (coffee, memes!) and generally cover the experience of dealing with mental illness when part of the LGBTQ+ community. 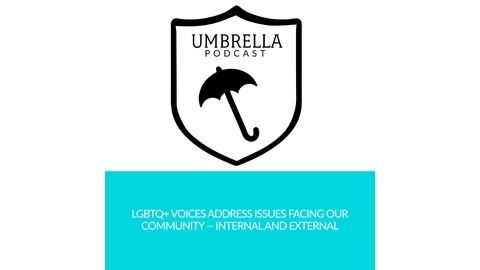 The Umbrella Podcast is devoted to diverse members of the LGBTQ+ community gathering to talk about a wide range of intersectional, complex issues facing us, internally and externally.